James Kirby is a Lecturer in Phonetics at the University of Edinburgh. 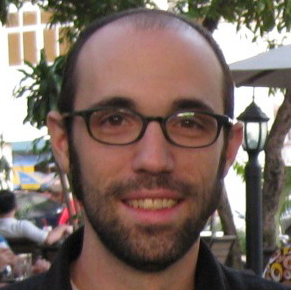 He completed his dissertation on computational modeling of sound change at the University of Chicago in 2010. His other research interests center on the phonetics and phonology of tone and register systems, especially in Southeast Asian languages. He has previously taught summer courses at Vietnam National University in Hanoi, the European Summer School on Logic, Language, and Information (ESSLLI), and the 2013 Linguistic Institute.